UNITED KINGDOM – The remains of thousands of aborted and miscarried babies in the U.K. were incinerated as clinical waste or burned to heat hospitals, according to findings from a recent investigation. According to Channel 4, the remains of over 15,500 babies were destroyed as waste in the last two years alone. 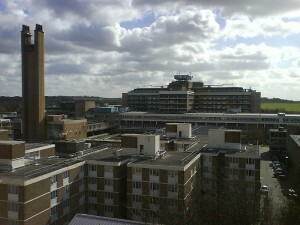 At least two major hospitals in the U.K.—Addenbrooke’s in Cambridge and Ipswich Hospital—burned the remains in “waste to energy” plants which generated energy for the hospitals. Nearly 2,000 aborted or miscarried babies were incinerated in these energy plants, according to the report. After Channel 4 first shed light on the inhumane treatment of the babies’ remains, British health officials condemned the hospitals’ actions. The Department of Health immediately banned the practice, and health minister Dr. Dan Poulter denounced the routines. “This practice is totally unacceptable,” Dr. Poulter said, according to The Telegraph. “While the vast majority of hospitals are acting in the appropriate way, that must be the case for all hospitals and the Human Tissue Authority has now been asked to ensure that it acts on this issue without delay,” he added. Sir Mike Richards, Chief Inspector of Hospitals, said hospitals have fallen short of standards. Richards also said officials will further investigate the findings. “We scrutinize information of concern and can inspect unannounced, if required,” he stated. As previously reported, America’s leading medical waste company, Stericycle, also incinerates aborted babies at its various incineration plants across the country. Grand Jury documents released by the Philadelphia District Attorney’s Office in 2011, and obtained by the Campaign to Stop Stericycle, revealed that Stericycle had been disposing of fetal remains for convicted murderer Kermit Gosnell for years. The medical waste giant was also fined over $42,000 in 2011 for unlawfully dumping aborted babies into a landfill in Austin, Texas after an abortion facility that it serviced failed to place “incinerate only” stickers on the boxes.